When Yorkshire Water carried out a survey of 11,000 of their customers and discovered that 98% of them were keen on saving water and 96.5% were actively making efforts to save water, they decided to give everyone in god's own county a helping hand. So as part of their ongoing commitment to water conservation, Yorkshire Water have launched the Save a Little, Save a Lot campaign focusing on simple water saving tips that can be fitted into everyday life, AND they're giving away free Water Saving Packs so every Yorkshire household can do their bit to help the environment. Not only that, for every Water Saving Pack ordered, Yorkshire Water is donating 10p to WaterAid to make the world a better place too. 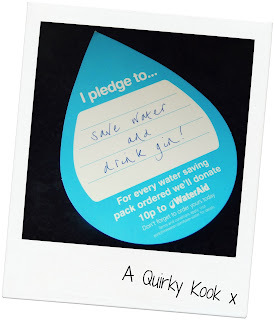 Yorkshire Water kindly offered us the chance to try out the Water Saving Pack at Quirky Kook Towers to see if we could save a little to save a lot, not only of water but energy and, consequently, on our annual utility bills. We're from Yorkshire, what can I say, we leapt at the chance. There are some very easy, water saving ideas in the pack and some handy water saving gadgets that once fitted are hardly noticeable, but still make a huge difference. 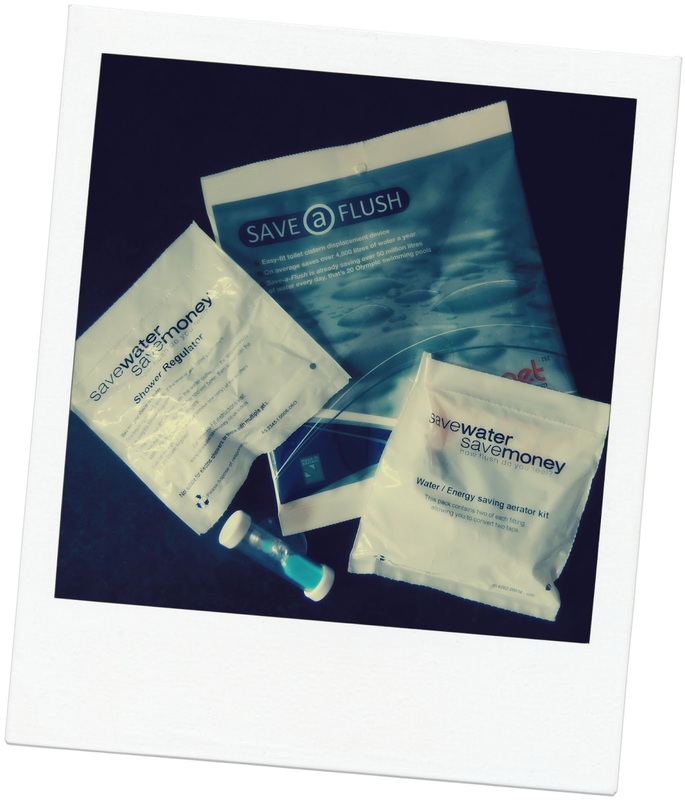 Tap inserts can save over 7,000 litres a year, the Flushsaver (a bag popped into the toilet cistern) saves 1.2 litres per flush while the deceptively simple ShowerSave, fitted between the water outlet and the shower hose, regulates the water used and can save over a 1,000 litres a year. Altogether they can save an average £62 a year on bills. My favourite addition to the Water Saving Pack though is a four minute shower timer. 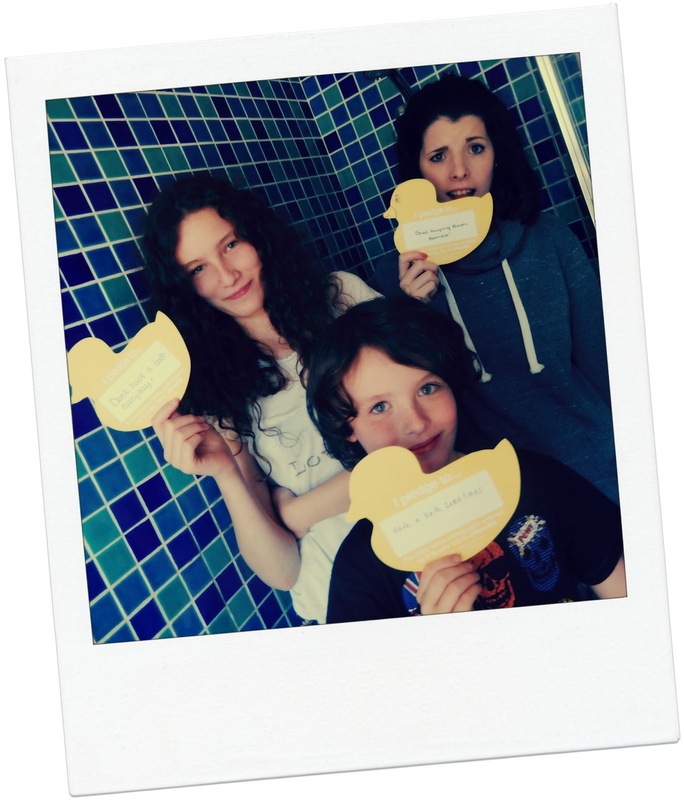 Spending just one minute less in the shower could save a whopping £100 a year on average but having three teenage girls does mean we don't make quite so average use of the family shower. I can only dare to dream what the simple four minute shower timer might save me, not only in energy bills but also in sanity. I will be doing my bit to save water and our own little bit of the world too. I pledged not to do the ironing, thereby saving untold litres from being turned to steam and, selflessly, I've resolved to give up drinking water and replace it with gin. Hurrah. If you want to Save a Little, Save a Lot with Yorkshire Water, you can order your own Water Saving Pack from the Yorkshire Water website where you can also find some excellent hints and tips on saving water too. 1: Don't wash, if you can help it. 3: Don't brush your teeth, if you can get away with it. 4: Never wash your hair, ever. The Boy's bid for this year's environmental activist award is currently under consideration. Disclaimer: This post is in collaboration with Yorkshire Water's Save a Little, Save a Lot Campaign but all words and opinions and water-saving tips are mine and The Boy's. I'm sorry about that.